A new plan that “will deliver safer, faster, more efficient and sustainable freight movement to boost a growing NSW economy” has been launched b y the NSW Government. The NSW Freight and Ports Plan 2018-2023 is said to guide more than $5 billion to be invested across the sector to support the growing freight task while managing growth and congestion across road and rail. Minister for Roads, Maritime and Freight Melinda Pavey said more than three million households and businesses across the state tap in to the freight network every day, relying on the timely and efficient movement of good to markets nationally and globally. 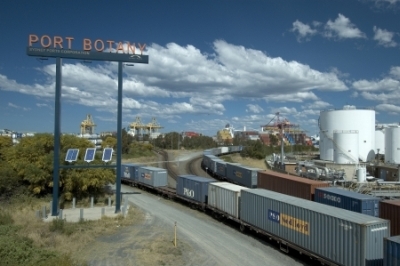 “The amount of freight moved through NSW is set to grow by 28 per cent to more than 618 million tonnes by 2036. To support this, the NSW Freight and Ports Plan 2018-2023 provides more than 70 initiatives for increasing capacity on the existing network, including building new infrastructure,” Mrs Pavey said. “From big businesses to farmers, retailers to consumers – we all rely on our goods getting to us in a safe and efficient manner. For this reason the NSW Government has set firm targets to achieve faster, more efficient and higher capacity networks to remain competitive, support jobs and deliver economic growth across NSW. “With freight and logistics contributing more than $180 million to the NSW economy every day, an increasing population and consumer preferences changing, the freight network will face increased future demand. “This, compounded by a desire to have same day delivery for online goods, requires government and industry to have the freight network capable of working at full throttle. “The NSW Freight and Ports Plan 2018-2023 highlights the government and industry plans for road, rail, air, shipping and pipelines and builds on investment from the 2013 NSW Freight and Ports Strategy,” Mrs Pavey said. The plan is said to bring together policy makers, producers, operators, regulators and government allowing for more coordinated and better freight planning.